Xiaomi’s rumored 3D facial recognition module has appeared in a new render. It’s been reported for some time now that the low-cost brand would be the first Android manufacturer to introduce a true alternative to Apple’s Face ID with the launch of the Xiaomi Mi 7. Now, with just a week left until the unveiling, a new render gives a closer look at the components of the new security feature. Looking at smartphone’s notch, it appears Xiaomi has packed it full with different hardware elements. Starting on the left side, what appears to be a large infrared camera is present that should help improve face detection in low-light conditions. This is accompanied by a regular selfie camera that will not play a role in the Apple-rivalling security feature. Continuing over to the center of the notch, a small grill can be seen that belongs to the in-ear speaker while, next to this, a relatively large rectangular component is present with a small hole on top. This is likely home to the microphone. In regards to the last two hardware elements that are featured on the right side, the square component closely resembles Apple’s dot projector, suggesting this will be Xiaomi’s alternative, while it’s unclear what the purpose of the final component is. After all, the sensor appears too big to be a proximity sensor but also too small to be a secondary selfie camera. 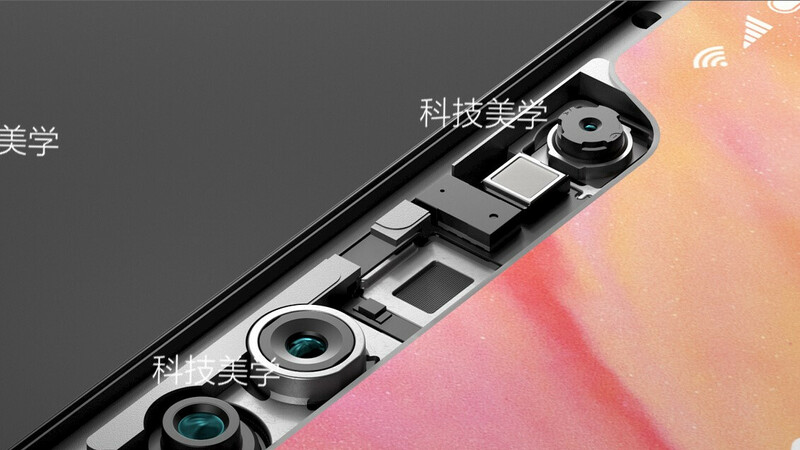 With Xiaomi’s launch event currently set for May 23, it’s only a matter of days before Xiaomi officially clarifies the components of its new facial recognition module. Nevertheless, unlike Apple, Xiaomi will not be forcing its customers to use the new tech. Instead, the Xiaomi Mi 7 is also expected to ship with a rear-facing fingerprint scanner, therefore giving users the choice of using the security method they prefer. Agreed they make really nice products for a good price. Great value and regular monthly updates. As long as they don't put a notch on the Mix series I'm happy. Otherwise it'll be time to look elsewhere. The notch is so fugly! Will never buy a phone with a notch! Apple never fit your definition of "best OEM" because 1) Apple is shipping the 2007-era slow 5W charger with every iP8/s/X when everybody else shipped their high-end smartphones standard with fast chargers; 2) the dismal (2010-era) HD display in the iPhone8 launched at the end of 2017 when everybody else ship display from full-HD to 4K; 3) exclusion of microSD support to force consumer to buy iPhones with higher built-in Flash memory when good 128GBytes micro-SD is sold at ~US$60; 4) exclusion of 3.5mm jack to force end-users to buy the very expensive and less fidelity air-port or lightning headphone. iphones are for people who embrace simplicity, people who don't really understand tech. They may not know what screen resolution, RAM, batery size are, To them, it is enough if the phone can take good photos and videos, post it in social media, watch youtube and use iMessage. They will not complain if the phone charges slowly because they will carry a power bank with them, they will not complain about the mess in iOS notification center or static grid of icon in the home area because they use to it. Android phones are for people who like customization, understand tech, and don't have enough money to afford an iPhone. In short, Apple is ripping its customers left and right. Interestingly, not much of its customers complain because they appear to have abundant of money or don't care. I wonder since when human beings started to loose the sight on 'value'. Why wouldn't iPhone users come up with more meaningful way to use their money? Instead, they are throwing away their money to a greedy merchandiser who cares more about ripping their customers (get the most money for the least hardware) than to serve their customers well. apple has best trick to tie their users with the "AppleID", for iDevices users, AppleID is their every foot-print that worth more than high end devices. Looks like the notch is here to stay. Too bad. Majority of xiaomi brands doesn't have any microSD card slots.